Today I’m sharing with you some of our family’s Best Eats from 2016. 2016 took us to Puerto Rico, New York City and the Bahamas. Below you’ll find our best meals/snacks from 2016. Here’s our list of best eats for 2016. We started the year with an impromptu trip to Puerto Rico. Going home means fruit flavored ice cream cones,fresh seafood and fresh coconut water. While visiting my dad, he offered me some coconut water. Sure, I responded. Little did I know, he was about to cut up a coconut with heavy machinery! 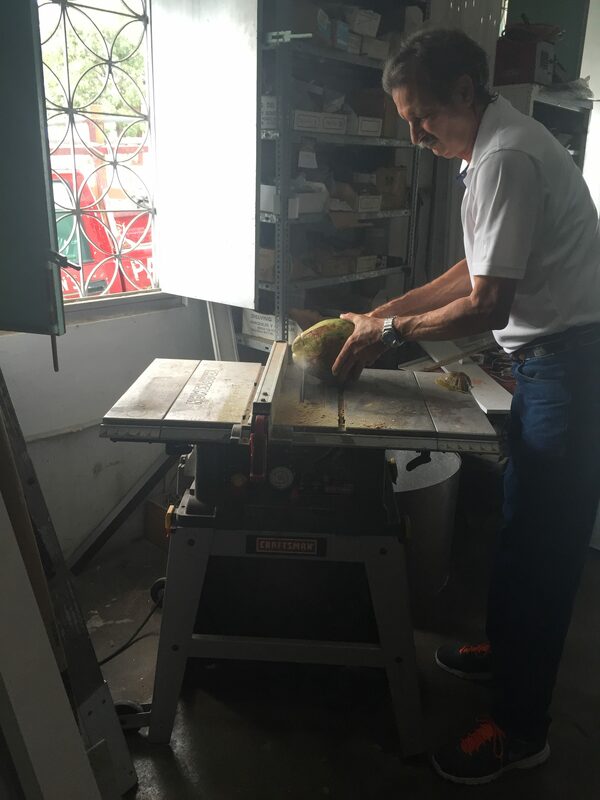 My dad opening a coconut.